Reading Night Sat., Jan. 4!!!! Home/Latest News/Reading Night Sat., Jan. 4!!!! Saturday, January 4, 2014: 5-10 p.m. Looking for guidance for the New Year? Curious what 2014 will hold for you? Come and join three seasoned readers for a chance to explore your new year and bring focus and clarity to your goals, dreams and intentions. Each reading is 15 minutes (45 minutes total). Cost is only $120. To register and schedule your appointment, email Deb at deb.bowen.crone@gmail.com. This event always sells out very quickly! Numerology Reading OR Discover Your Animal Guide! In a numerology reading, Deb tells you what to expect in your upcoming year based on your birth, name and lifepath numbers. 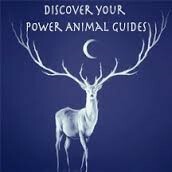 OR in an Animal Guide reading you can learn which animal offers you guidance and protection every day! Jean, 86, has been reading palms since the 1960s. She lives in Pittsboro, NC, where she read palms and teaches basket weaving. A reading of your hands from Jean is a true gift! Please welcome Sarah in her debut with our team! Tarot incorporates ancient spiritual and mythical images that guide you along your life’s path. Sarah works with her guides and angels using the traditional Waite-Rider deck.